Artist Benton Jew has worked on not one but three Hulk movie projects: Ang Lee's Hulk, Louis Leterrier's The Incredible Hulk, and a never-made film that with a script by Jonathan Hensleigh. Jew has shared artwork he created for those projects, including a mockup of Billy Crudup as Ang Lee's hulk. He provided other concept pieces for Lee's movie as part of ILM's bid on the project. Although he hadn't seen the script at the time, he decided to paint the Hulk being chased by helicopters in the desert. 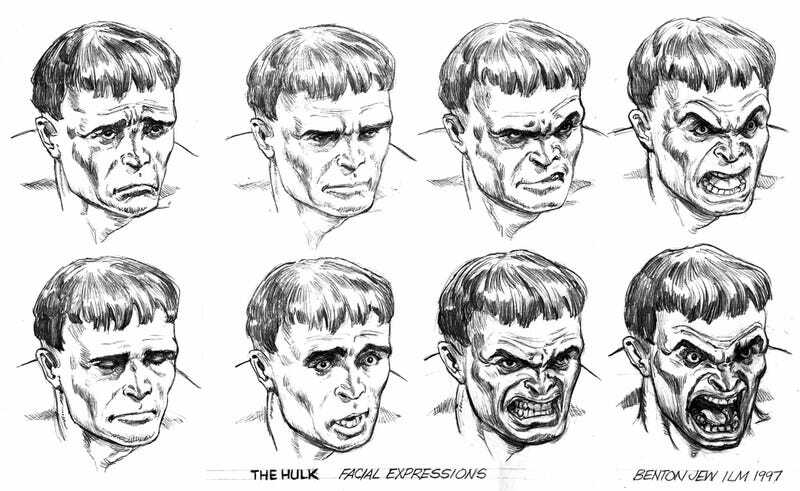 You can see more of Jew's Hulk art, including his storyboards for The Incredible Hulk, on his blog.